Hello my lovelies! Hope you are all doing great! 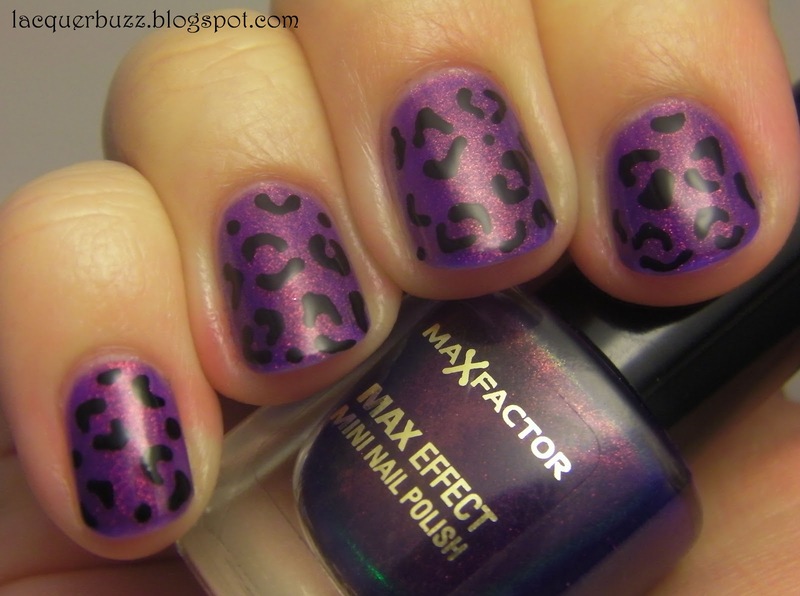 Some of you might remember my posts featuring the amazing Max Factor Fantasy Fire. If not you can see the shiny version here and also the matte one here. 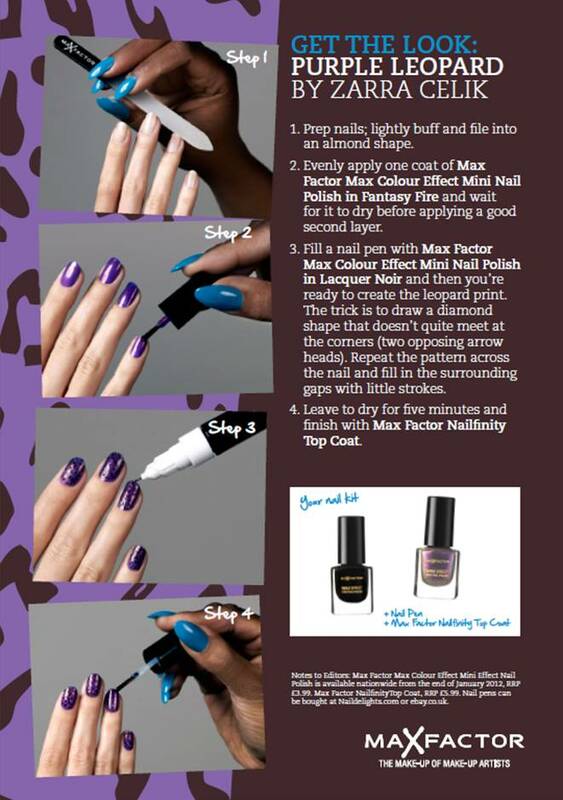 After I posted these I was contacted by a lovely lady who asked if I was interested in doing a leopard print nail art using Max Factor products. I said yes, naturally! Here's the final result. 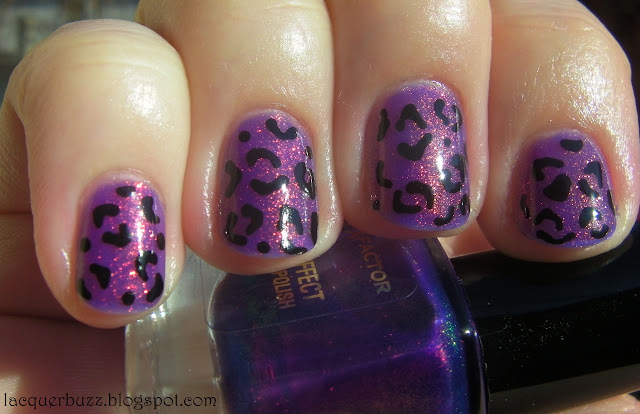 This is the first time I do a leopard print on my nails. The reason: I don't like leopard print. I always hated clothes with this print on. So this proposition came as a challenge to me. I love challenges! Little did I know I was going to like the end result so much! This look was designed by nail artist Zarra Celik using the widely acclaimed Max Factor Fantasy Fire. She also made a step-by-step tutorial that makes it very easy for anyone to achieve it. My nails were not that long but I still tried to file them to a more squoval shape. I used 3 coats of Fantasy Fire on its own. Since it's the first time I've used it without underwear, here's a photo of it by itself. I then used the nail art pen I was provided with to draw the leopard spots. It was the first time I've used the point of such a pen and it was very easy. I finished with one coat of China Glaze Fast Forward top coat. The manicure dried very fast, despite the many coats. 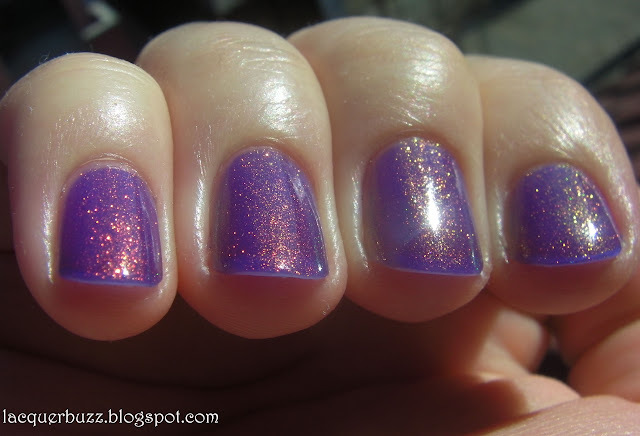 I just love how Fantasy Fire sparkles in the sun! Back when I wore it for the first time there wasn't much sun, but now it's stunning. This also looks amazing indoors. I was really surprised that I liked it that much. 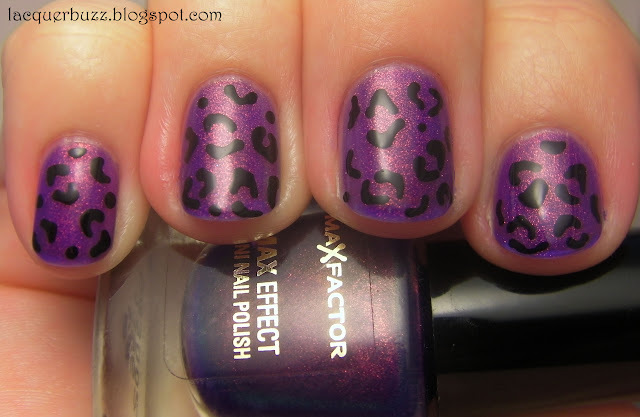 I think the leopard look is a lot more subtle on the nail than in clothes and the purple underneath makes it look so cool. Plus the sparkles in Fantasy Fire are divine. Can't wait to explore this polish a lot more! *Disclaimer: Some of these products were sent to me for review. For more info see my official disclosure policy. This is absolutely gorgeous!! I love leopard print. So glad you liked the end result. Thank you Marisa! I'm beginning to like it too! I actually don't like leopard prints too... Well... Not on clothing. I think it's a bit tacky. But I sure do love this manicure on you! I know what you mean. I think few people can pull off the leopard clothing. But nails are different! We can definitely experiment more with nails. Love the end result! You did a great job! I was wondering what I was going to do with my first FF mani, I think this is it. 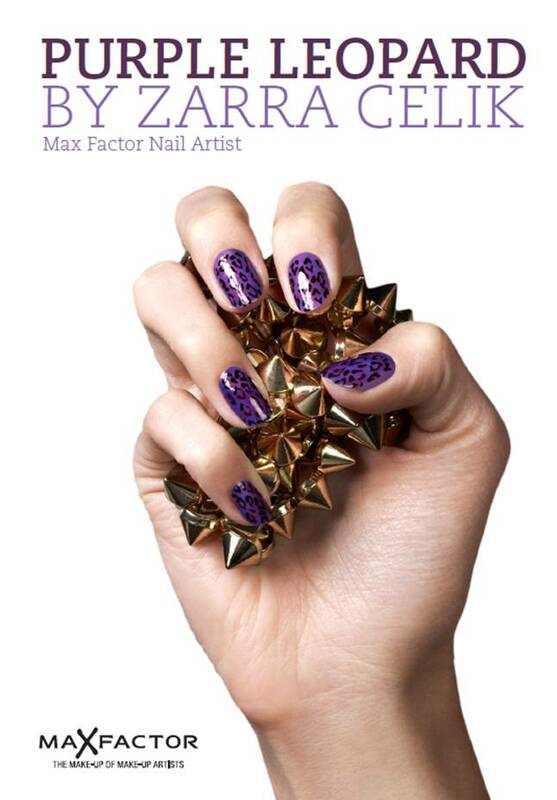 This is really a great idea because it doesn't cover the FF that much like other nail art would. LOve this Mihaela, we were lucky ladies to get this,not sure of anyone else?? I've never worn leopard print on clothes but I quite like it on nails, it's more subtle! I've found another blog or two that also featured the look. I've never worn it on clothes either. But my nails are always so much bolder compared to my clothes! This is absolutely stunning!!!!! 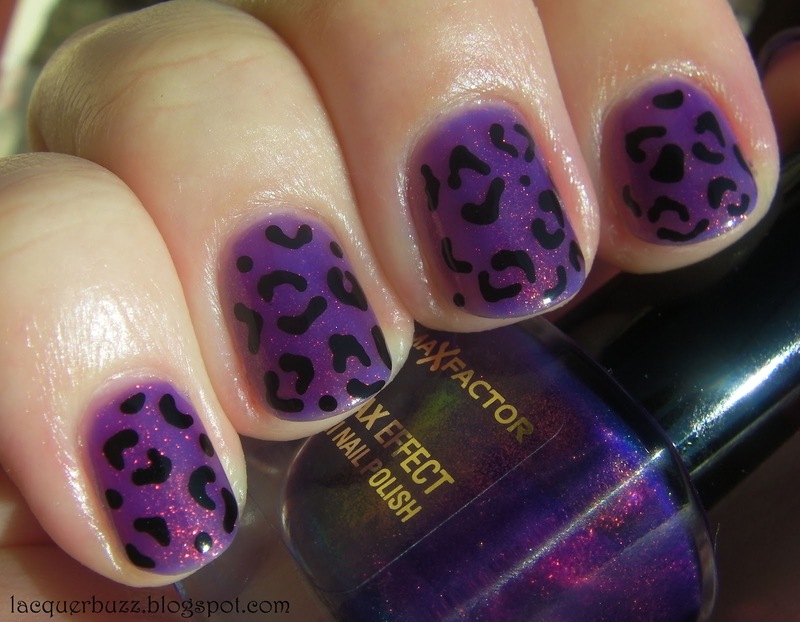 Fantasy Fire is gorgeous, and the leopard print really adds something special. Love it! Thank you! I really couldn't stop staring at my nails when I had this mani on.